Proposed Medicaid Managed Care Organization regulations include quality ratings for private plans providing benefits, in addition to provider network certification and member education. These changes are aligned with Medicare plan requirements, although well behind the rest of the CMS programs focused on quality of care while reducing overall costs. However, Medicaid reimbursement levels are lower posing larger challenges. 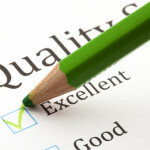 Will quality measures be less robust? Read More.